The ancient practice of yoga offers a multitude of benefits to modern-day students at almost every grade level. Yoga's combination of breath and movement can help alleviate social and academic stress, clear the mind and soothe cramped bodies jammed into desks and hunched over computers. Yoga is the single answer to several problems. 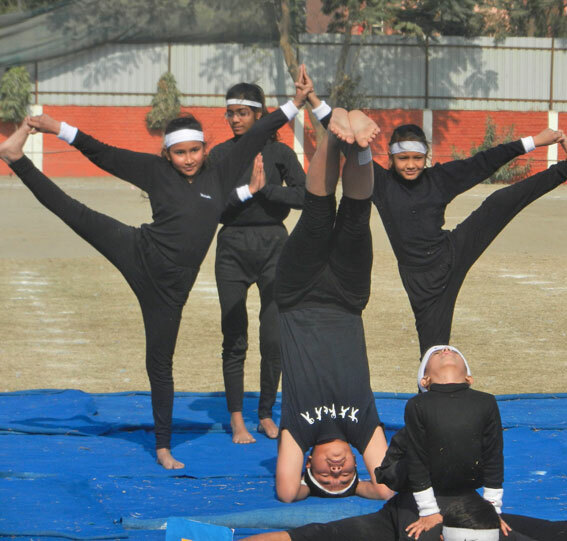 Thus students at Sun Valley International school grow up with Yoga as a habit rather than a class activity. Provision for morning sessions of Yoga and Meditation for every class is made in the school. Students also participate in mass drills and Yoga demonstration during major events to spread the awareness on Yoga and its benefits in everyday lives. Besides the school also plans to hold several activities like Yoga Competition, Yoga Quiz, Drawing Competition, Debates, Seminars and Peer Teaching on Yoga, to raise the awareness on the same beside the usual Yoga classes that are scheduled on daily basis.